This Windporting small remote speaker microphone clips to your shirt pocket or lapel and enables easy communication without having to remove the radio from your belt. 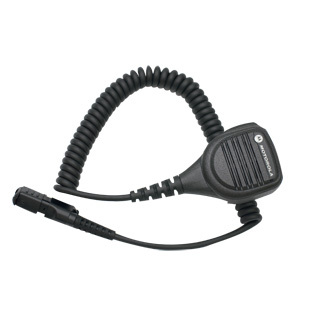 Windporting remote speaker microphones lessen background noise from high winds, severe weather and other outdoor noises. This microphone is also designed to prevent water from clogging the microphone port and distorting your transmit audio.